From the title, you might think this post is entirely about politics. It could have been, but instead, we examine human responsibility in light of God’s sovereign providence. Though, by the end of this post, you might concede that the principles we will discover are applicable to today’s political process and the restoration of our Republic. …He [or she] will revere and extol God as the principal author [of the blessings which he receives], but will also honor men as his ministers, and perceive…that by the will of God he is under obligation to those, by whose hand God has been pleased to show him kindness. Believe that [any loss sustained through negligence or imprudence] was the Lord’s will it should so be, but, at the same time, he will impute it to himself. …In the case of theft or murder, fraud and preconceived malice, […he] will distinctly recognize the justice of God, and the iniquity of man, as each is separately manifested. …Will not…be remiss in taking measures, or slow in employing the help of those whom he sees possessed of the means of assisting him. …As hands offered him by the Lord, he will avail himself of [all the aids which the creatures can lend him] as the legitimate instruments of Divine Providence. And as he is uncertain what the result of any business in which he engages is to be (save that he knows, that in all things the Lord will provide for his good), he will zealously aim at what he deems for the best, so far as his abilities enable him. However, his confidence in external aid will not be such that the presence of it will make him feel secure, the absence of it fill him with dismay, as if he were destitute. 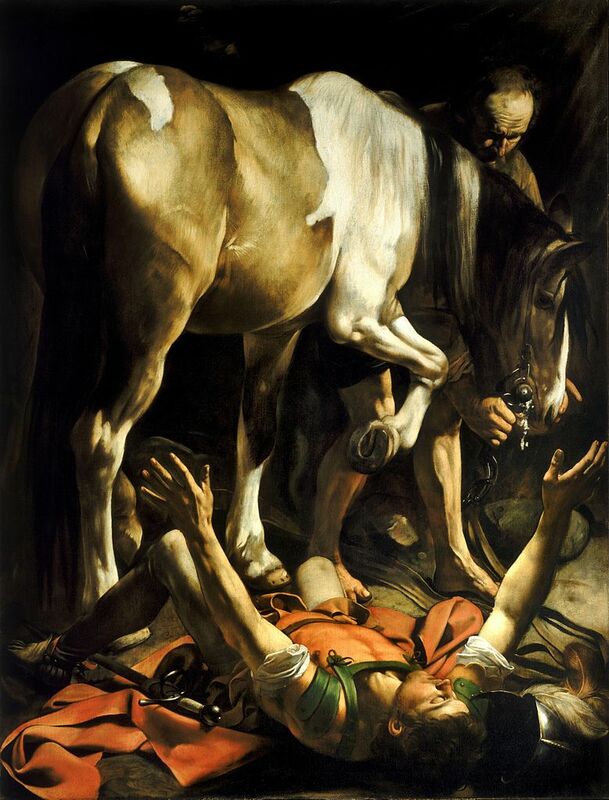 Thus Joab, while he acknowledges that the issue of the battle is entirely in the hand of God, does not therefore become inactive, but strenuously proceeds with what belongs to his proper calling, “Be of good courage,” says he, “and let us play the men for our people, and for the cities of our God; and the Lord do that which seems him good,” (2 Sam. 10:12). The same conviction keeping us free from rashness and false confidence, will stimulate us to constant prayer, while at the same time filling our minds with good hope, it will enable us to feel secure, and bid defiance to all the dangers by which we are surrounded. Sober up, America. We’re a republic only for as long as we can keep it. You might say, “we trust in God; He will bring about a good result.” But, I urge us to trust “the Lord to do what seems good to Him” and be courageous for our people: pray, vote, donate, and campaign. Prayer – Why Should We Pray If He Is All-knowing? as the very reason that we should ask for His aid. to assert that God bestows His gifts liberally in answer to the prayers of His children so as to prove His love toward them. Lastly, that we may be prepared to receive all his benefits with true gratitude and thanksgiving, while our prayers remind us that they proceed from his hand. Calvin observes that we more earnestly desire continued answers once we’ve recognized He has answered our previous prayers. We identify His continual, active providence as His tangible demonstration of His promises to us through our experiences of answered prayer. And yet whenever He sees us insensible, or, may it not be, unbelieving, he withdraws as if he had forgotten us. Prayer – Why do it? 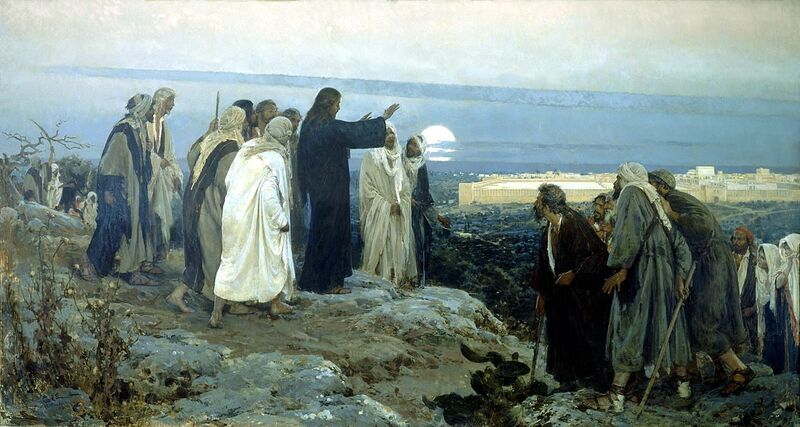 For there is a kind of [communication] between God and men, by which, having entered the upper sanctuary, they appear before Him and appeal to his promises, that when necessity requires they may learn by experiences that what they believed merely on the authority of his word was not in vain. Calvin goes on to say that it is both necessary and useful to pray to the Lord for every good thing that He promises us. God reveals His promises to us in His word. Therefore, we should know the bible well. Goodness to receive us into favor, though miserably loaded with sin. Through prayer, we call upon Him to make evident to us all his excellent attributes. Admirable peace and tranquility are given to our consciences; for the straits by which we were pressed being laid before the Lord, we rest fully satisfied with the assurance that none of our evils are unknown to him, and that he is both able and willing to make the best provision for us. Since we appeal to the authority of the scriptures on this blog, we should discuss what we mean by it. Institutes, Chapter 6: …For if we reflect how prone the human mind is to lapse into forgetfulness of God, how readily inclined to every kind of error, how bent every now and then on devising new and fictitious religions, it will be easy to understand how necessary it was to make such a depository of doctrine as would secure it from either perishing by the neglect, vanishing away amid the errors, or being corrupted by the presumptuous audacity of men. 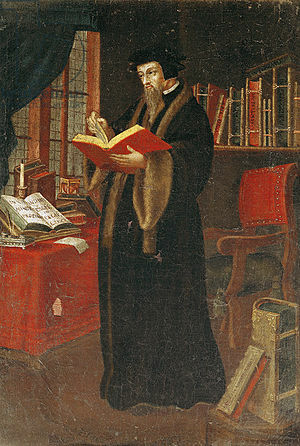 It being thus manifest that God, foreseeing the inefficiency of his image imprinted on the fair form of the universe, has given the assistance of his Word to all whom he has ever been pleased to instruct effectually, we, too, must pursue this straight path, if we aspire in earnest to a genuine contemplation of God;—we must go, I say, to the Word, where the character of God, drawn from his works is described accurately and to the life; these works being estimated, not by our depraved Judgment, but by the standard of eternal truth. Institutes, Chapter 8: …For it is wonderful how much we are confirmed in our belief, when we more attentively consider how admirably the system of divine wisdom contained in it is arranged—how perfectly free the doctrine is from everything that savors of earth—how beautifully it harmonizes in all its parts—and how rich it is in all the other qualities which give an air of majesty to composition. Our hearts are still more firmly assured when we reflect that our admiration is elicited more by the dignity of the matter than by the graces of style. For it was not without an admirable arrangement of Providence, that the sublime mysteries of the kingdom of heaven have for the greater part been delivered with a contemptible meanness of words. Had they been adorned with a more splendid eloquence, the wicked might have caviled, and alleged that this constituted all their force. But now, when an unpolished simplicity, almost bordering on rudeness, makes a deeper impression than the loftiest flights of oratory, what does it indicate if not that the Holy Scriptures are too mighty in the power of truth to need the rhetorician’s art? In light of our previous post, we do not so much agree with the tone with which Calvin defends his positions (and these are mild). He’d definitely have given the current crop of vehement deniers a run for their money were he alive in this day and age. We say that the scriptures, in the original languages, carry God’s authority as His proclamation of redemption for all who will believe. We say this, rather than maintain, as some do, that they are an accretion of fables or that they consist of truths [that] are illusions which we’ve forgotten are illusions. We believe that God deigns to use vernacular translations in the communication of His truth to the world. We see the scriptures as the window He offers us through which we may know the True and Living God. Why are we shocked when things like this, this, or this happen? These sensational stories are tragic, no doubt. Scary, even. But we seem to think we’d never do or even be capable of such heinous acts. Then we bolt our door against our neighbor (rightly or wrongly, I can’t say; that’s up to you). Some believe we’re naturally moral. Still others say: red in tooth and claw. The scriptures conclude we all fall short of God’s glory. But isn’t this an overstatement of our condition? Aren’t we really good, but just misguided, unmotivated, or low informational? So, we have no excuse to be shocked at these sensational stories. This is the condition of man. However, if this is so, why then do we not claw and bite until we are no more? So God not only constrains the evildoer but commands him to do His bidding, yet without complicity or taint thrown back upon Him. But why, if we’re this way, are we guilty at all? … As all contingencies whatsoever depend on it, therefore, neither thefts nor adulteries, nor murders, are perpetrated without an interposition of the divine will. 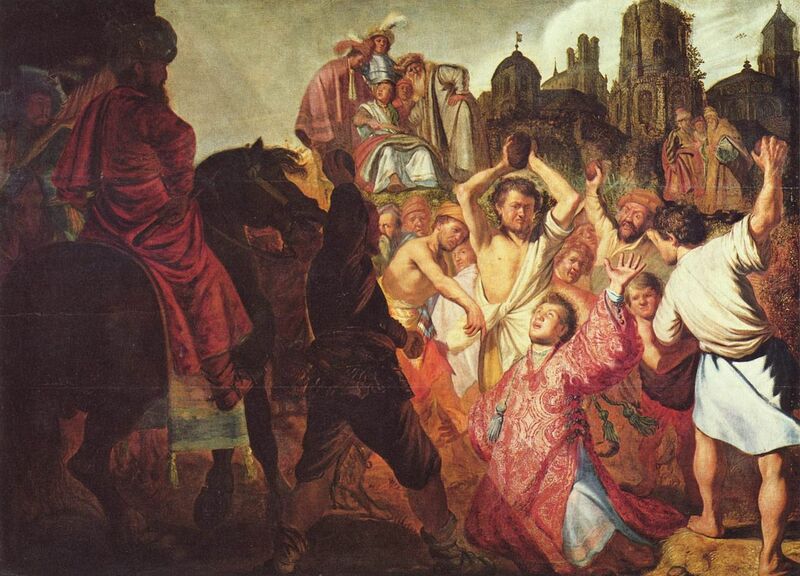 Why, then, they ask, should the thief be punished for robbing him whom the Lord chose to chastise with poverty? Why should the murderer be punished for slaying him whose life the Lord had terminated? If all such persons serve the will of God, why should they be punished? I deny that they serve the will of God. For we cannot say that he who is carried away by a wicked mind performs service on the order of God, when he is only following his own malignant desires. He obeys God, who, being instructed in his will, hastens in the direction in which God calls him. But how are we so instructed unless by his word? The will declared by his word is, therefore, that which we must keep in view in acting, God requires of us nothing but what he enjoins. If we design anything contrary to his precept, it is not obedience, but contumacy and transgression. But if he did not will it, we could not do it. I admit this. But do we act wickedly for the purpose of yielding obedience to him? This, assuredly, he does not command. Nay, rather we rush on, not thinking of what he wishes, but so inflamed by our own passionate lust, that, with destined purpose, we strive against him. And in this way, while acting wickedly, we serve his righteous ordination, since in his boundless wisdom he well knows how to use bad instruments for good purposes. And see how absurd this mode of arguing is. They will have it that crimes ought not to be punished in their authors, because they are not committed without the dispensation of God. I concede more—that thieves and murderers, and other evil-doers, are instruments of Divine Providence, being employed by the Lord himself to execute the Judgments which he has resolved to inflict. So, it is apparent that Romans 3 is true and we are not only held back from what we could do but others are employed to execute God’s judgments and, yet, are solely guilty of their transgression. I see the tendency to do wrong in myself all the time. Do you? The only remedy is falling at the feet of the Lord Jesus Christ in surrender because he says: Come to me, all who labor and are heavy laden, and I will give you rest. No, I’m not referring to the song by Stevie Wonder (as much as I like the instrumental version). But, instead, I refer to the prevalent bias against true religion. When we see religion as moral and ethical obedience to God–given law that is beneficial to us and to others, I’m not sure how we justify anything else. Except, of course, in order to avoid our responsibility and laugh in the face of our inevitable accountability. And we do the latter in everything we do in this scientific age. 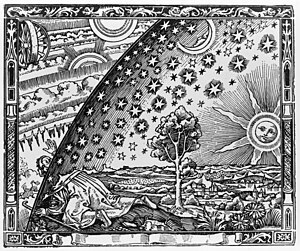 The art work in this post, Flammarion (Photo credit: Wikipedia), shows a medieval missionary delving into heaven through the firmament to see the workings of God. I think that our sciences expand the firmament to the extent that we shut out the possibility that the immaterial has place in our thoughts and contemplations. This “expansion” is seen not merely in our astrophysics but in our neuroscience and in all the other scientific disciplines. This is a mistake. So, our Principle of Least Action, applied to quantum fields (if they turn out to be fields, except in approximation, as a result of the coming paradigm shift), is falsified by these “superstitious beliefs” put forth by scripture and exposited by John Calvin. Our entire mode of living, apart from reverential awe due to God, is falsified. Call scripture superstition if you must, but God is simply accommodating our finiteness as he calls us to into account before it’s too late for you or for me.